Gil Horsky takes a retrospective look at this year’s DLD (Digital Life Design) Conference, the annual technology and innovation festival hosted in Tel Aviv, Israel. Embarking on its fifth year, the DLD conference was marked by events across the country’s capital and hosted over 5,000 global attendees, including Gil Horsky, 106 international delegations and over 100 festival events throughout Tel-Aviv. This year’s conference included panels on a variety of topics including: Fintech, Artificial Intelligence, Mobility, Drones, Gaming. 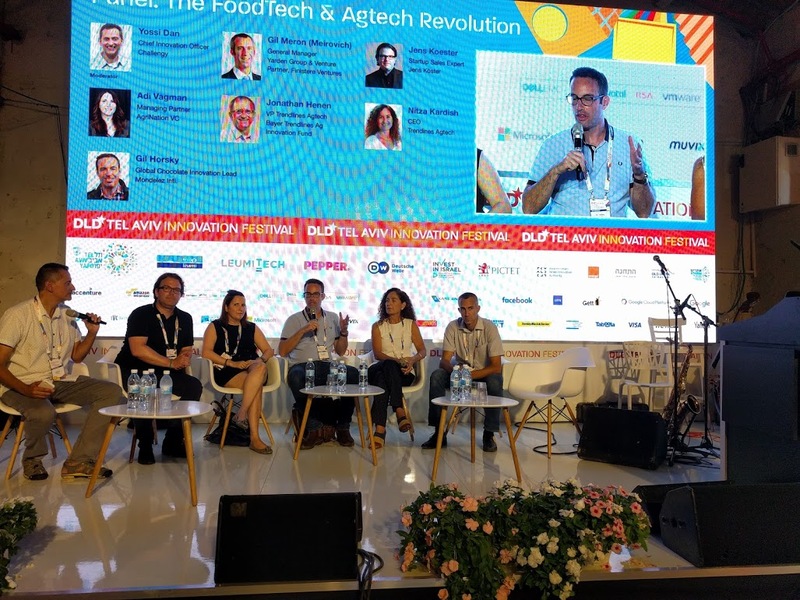 DLD organisers had extended this year’s event to also focus on food and agtech (agriculture technology), acknowledging Israel’s “world-leading approach to the future of food production and development”. As well as Horsky, a number of international delegates formed the FoodTech & Agtech panel including Yossi Dan, Chief Innovation Officer, Challengy as panel moderator, and participants Adi Vagman venture investor and Managing Partner of AgriNation, Jens Köster European Startup Sales Expert, Gil Meron from Finistere Ventures along with other industry leaders.